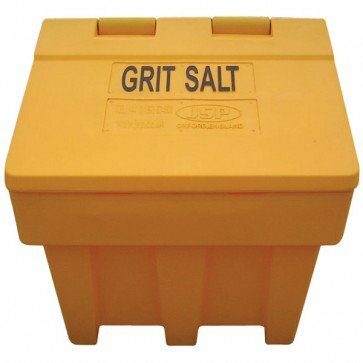 Stackable bin with 50kg capacity. Made from Virgin HDPE and an ideal size for positioning outside. Dimensions: 0.49m long x 0.50mm wide. Supplied with 2 x 25kg bags of salt.